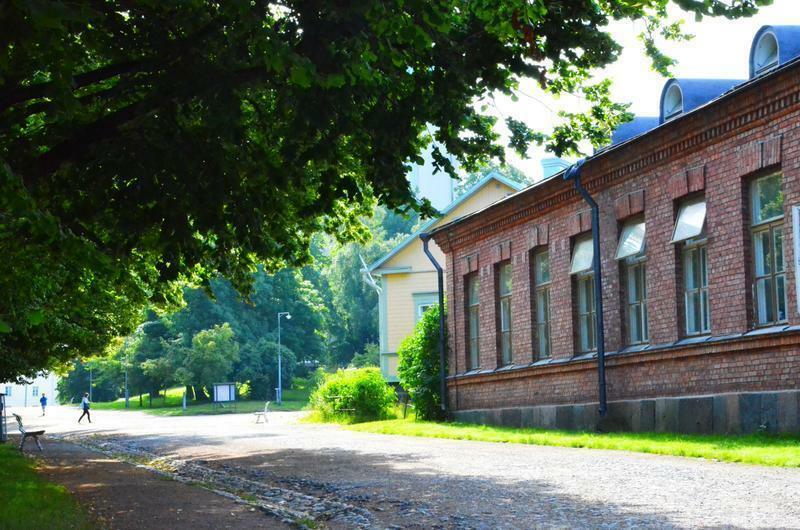 Hostel Suomenlinna is a smaller-sized youth centre and youth education camp facility located on an important cultural landmark off the coast of Helsinki. Named as a Unesco World Heritage Site, the island of Suomenlinna is a maritime fortress dating back to 1750. Centre activities reflect the peaceful lifestyle of the island's inhabitants and call to mind the colourful history, beautiful maritime milieu and unique natural setting of the environment. 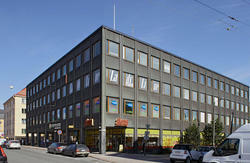 The Finnish Youth Centre Association has been in charge of the administration of Hostel Suomenlinna since 2008. 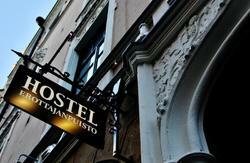 Hostel has all together eight rooms and 40 beds on two floors. Rooms are for 1-10 people. There are four dorm types available (downstairs, 4 rooms) - 6 beds(male dorm),7 beds(mixed), 8 beds(female dorm) and 10 beds(mixed). Hostel has three private room types available (upstairs, 4 rooms): single, twin and triple. Extra beds available. Dorm rooms come with solid bunk beds and a locker per bed. Rooms are spacious with high ceilings (4m). Single, twin and triple rooms come with single beds and have charming attic style ambiance. Toilets and showers (24h hot water) are in the corridor on both floors. Hostel has three common areas; the dining hall with places for 40 people, the common room with comfy sofas and a table area in the upstairs hall next to the self catering kitchen corner. FROM THE AIRPORT: From Helsinki-Vantaa airport take the local bus no 615 to the Helsinki railway station (terminus, journey 35-45min, 4e). Alternatively Finnair City Bus to the Hki railway station (terminus, journey 35min, 5.90e). From the railway station the tram no 3T or a walk (10min) to the Market Square, Kauppatori, where the ferry leaves. You can use the same ticket from the bus 615 on the tram & ferry. BY BUS: The long distance buses arrive to Kamppi terminal. From Kamppi a walk to Lasipalatsi tram stops, the tram no 4 or 7 to the Market Square (7min). Most of the local or regional buses arriving to Helsinki have their terminus next to the Hki railway station. 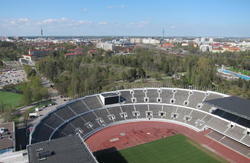 BY TRAIN: From the Helsinki railway station take the tram no 3T or walk (10min) to the Market Square. BY FERRY: The Suomenlinna ferry of Helsinki Region Transport leaves from the Market Square, Kauppatori. The ferry circulates every day 1-4 times/hour through the year from 6/6.20 am morning till 2/2.20am in the night. The ticket costs 2e bought from the ticket machine in the quay (valid in all Hki for 1h), or a Suomenlinna ticket 3.80e (valid on the ferry for 12h). In the summer time the JTL water bus circulates from the Market Square to Suomenlinna Info Centre. Round trip ticket costs 6.50e.